What’s green sounding, blurry and potentially dangerous? ‘Environmentally sound technology’ is the less than amusing punchline, with the lack of any definition of the Copenhagen negotiations latest buzz phrase creating a risk that a new technology framework could be exploited for dangerous geo-engineering projects. ‘There is an emerging agreement that countries want to see a new technology mechanism emerge from this process,’ said Yvo De Boer, UNFCCC Executive Secretary, on Thursday. But concerns are mounting that many technologies that will be fast-tracked through this new system are risky and untested. This has the potential to compound the climate crisis. 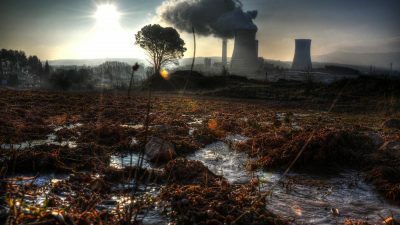 ‘On top of being the victims of the climate crisis, we don’t want to become guinea pigs for new unproven technologies or for old hazardous technologies such as nuclear power, with the excuse that more technology is needed to fix the climate,’ said Ricardo Navarro from Friends of the Earth International. ‘It is totally irresponsible that negotiators are discussing the development and transfer of technologies without any mechanism to filter which ones can be useful’, he added. The failure of industrialised countries to offer anything close to the emissions reductions commitments required to avert catastrophic climate change has stimulated a flurry of activity in recent months in the arena of new technologies to ‘rescue’ the planet. From ocean dumping of urea, thought to simulated volcanic eruptions, the spectrum of geo-engineering projects alone spans a spectrum from commercial misadventure to sci-fi fantasy. Geo-engineering is gaining increased legitimacy within the UNFCCC process, with the UK Royal Society hosting three side-events on the issue in Copenhagen, following its recent warning that this could become ‘the only option left to limit further temperature increases’ in a context where the political process fails to tackle climate change. 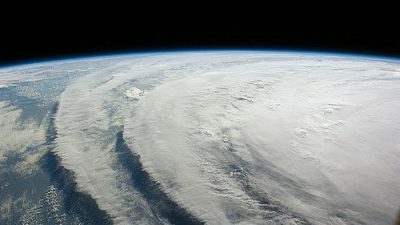 Geo-engineering proponents include industry-friendly climate skeptics such as Bjorn Lomborg, who claims that a large technical fix skirts the need for action on emissions reductions. Others are less convinced with over 160 civil society groups issuing a statement in favour of the precautionary principle that states, ‘Let’s Look Before We Leap.” The declaration alerts governments to the absence of any environmental and social assessment mechanisms in the draft Copenhagen agreement on technology, and claims that the current approach poses grave threats to human health, human rights, rural livelihoods, diverse ecosystems and climate stability. 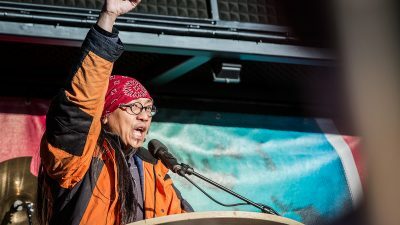 ‘Whatever technology agreement comes out of this meeting must not just become a funding mechanism for venture capital backed greenwashing exercises’, said Chee Yoke Ling from Third World Network. ‘In the context of the carbon trade, ‘environmentally sound technologies’ are often more hype than heft. We need an agreement that will facilitate access to truly environmentally sound technologies and clean energy and that will not result in the global expansion of bad ideas. Governments already recognise the principle of prior assessment in the international Cartagena Protocol on Biosafety. We need even stronger rules in an agreement on climate technology’, she added.